Marketing is critical to the growth of your business. You know, and I know it. But do other executives know it? If you’ve ever encountered resistance to your marketing strategy, or received unhelpful “suggestions” driven by poor understanding of how marketing works, the answer is probably not. The problem here is that, despite working with each other at an executive level, other functional leaders — and even CEOs — don’t fully understand marketing’s role. Despite the best intentions, some stakeholders just don’t “get” marketing. And who’s fault is that? Can you explain marketing strategy and analytics to other executives in a way that makes your impact clearly known and invites cooperation between departments? If you can’t, it’s time to learn. Here’s a playbook for clearer communication and cross-team collaboration. Who do marketers work with internally? Marketing can seem like the most isolationist department in the company. But in practice it is actually one of the most collaborative. Marketing should never be a one-way relationship. You need input from consumers and customer-facing teams to improve your go-to-market strategy. And marketing can and should provide value back to other teams by supporting their job functions. Practically joined at the hip. They interact so often that many sales and marketing departments share the same CRM database. Marketing contributes to sales revenue by providing leads, supplying sales-enabling content, and building the company brand through various channels. Marketing in turn benefits by receiving deeper insight into customer behavior and preferences from live conversations. The more marketing knows about the product we’re promoting, the better we get at promoting it. So it’s beneficial to have a close working relationship with the product team. On the flip side, marketing can supply the development team with valuable customer reactions and marketing insights that influence further iterations. Marketing is usually considered a cost center by most finance executives, and gets treated as such. If you employ revenue-based marketing however, and apply attribution models to all the content you release, you’ll be able to show Finance marketing’s true worth. Customer success has just as much to do with marketing as the actual marketing department does. 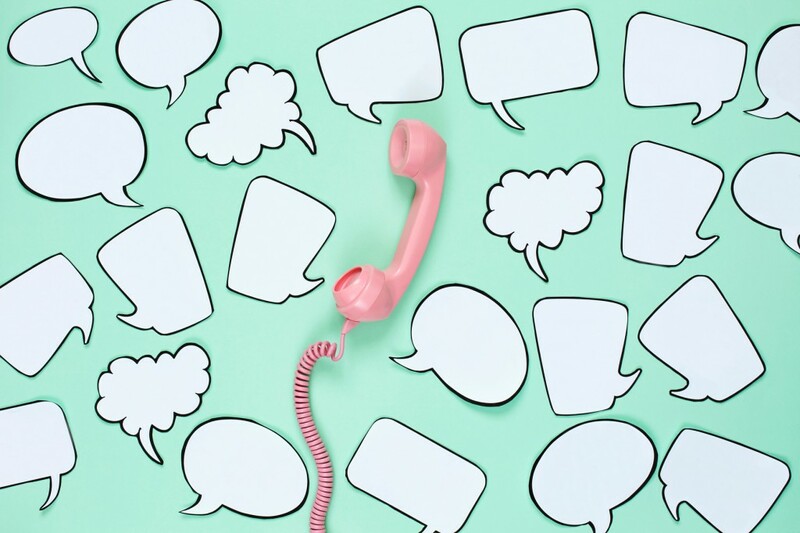 In these days of social media and digital communication, a single customer can boost — or even negate — the effect of any of your brand building efforts. Some organizations have marketing take over this function entirely, while others keep them separate but closely coordinated. As you work more closely with these other departments, you will start to develop ideas and plans that are cross-departmental and require greater coordination. But this approach only works if people understand what you’re doing. Why do you need to explain marketing strategy and performance? It’s harsh to say, but common sense isn’t very common. This is because each department in an organization has their own sphere of influence. They are very rarely concerned about what goes on over the fence, and as such, don’t know even the basic principles of other disciplines (marketers are guilty of this as well). They have enough to deal with on their own. If you’re going to work closely with other departments and get them to share information and resources, you need to ensure that they understand what you do, what your plans and strategies involve, and what constitutes success. Anything less would mean more misunderstandings down the road. How do I explain marketing strategy? Getting people to appreciate marketing’s role is difficult enough. Getting other executives to understand marketing strategy is a whole other challenge. Part of this challenge stems from misconceptions about how marketing goes about its business. Like any specialization, it requires an understanding of key concepts like brand awareness, attribution, advertising, and so forth. It also requires familiarity with the metrics marketers uses to determine success. But you don’t have the time to give the entire C-suite a collegial curriculum’s worth of information — and neither do they. You’ve got to get to the point and get back to work. You’ve got big plans, but how do those plans relate to the goals of the company at large? How does your brand building on social media benefit the company? Explain the effect your marketing strategy will have on the company’s strategic goals. Emphasize how marketing’s KPIs will contribute to the organization’s bottom line. Doing so puts context into what marketing is doing, and increases the chance other executives will be able to see how you fit into the bigger picture. How does it affect them personally? If you want other executives to buy into your strategy, you have to explain what’s in it for them. For example, if this year’s marketing strategy focuses on developing better content, you can explain to the VP of sales how his team can use content to close more deals. If a new version of the product is coming out soon, explain to the CPO how you can effectively promote it so much more if you were included in the development process. It’s hard to argue with someone who can back up their claims with hard numbers. You want to be that person. With the right technology, it’s very easy to collect marketing metrics and assess how much a campaign contributed to a sale. You can present these figures during your executive reporting sessions as proof that your strategy works, and use it to help secure assistance from other executives. What metrics should I communicate to which teams? To speed up comprehension of your marketing strategy, you should focus on presenting the marketing analytics that matter most to the group you’re talking with. Sales is very interested in knowing what actions the customer is taking, so the metrics you provide should give that level of insight. Which assets are downloaded/opened, how many times, and by whom? Sales is guaranteed to use content that is proven to convert leads, so giving them the metrics on high-performing assets will get them on your side much faster. The product team would be most interested in data that shows how well received their products are, as well as the opinions of individual users. Social media metrics would be perfect in this situation. Finance is even more concerned about the bottom line than sales is (which is a feat), so metrics that tie into actual dollar value are how they would prefer to measure marketing performance. Keep in mind that this only works if you have the right attribution model in place. If you don’t yet have one, work closely with your sales team to determine which fits your business model best. Even if you find the metrics you’re sure will interest the executive you’re speaking with, it’s not enough to place the numbers in front of them and expect them to know what they mean. You still have to put each of your marketing analytics reports in context, and discuss the ramifications of those numbers to your team, their team, and the business. It’s a challenging task, but you’ll reap great benefits from having a C-suite that knows exactly what you bring to the table, and understands just how you can help them and — more importantly — how they can help you.